Flip a coin. 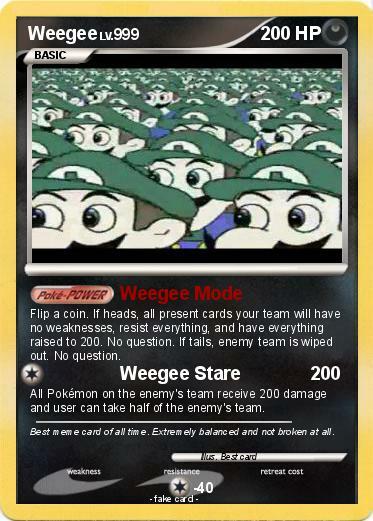 If heads, all present cards your team will have no weaknesses, resist everything, and have everything raised to 200. No question. If tails, enemy team is wiped out. No question. All Pokémon on the enemy's team receive 200 damage and user can take half of the enemy's team. Comments : Best meme card of all time. Extremely balanced and not broken at all.